Following the huge success of 2016’s immersive show The Great Gatsby, Sheffield’s Theatre Deli has teamed up with theatre company the Guild of Misrule once again. And this time, theatregoers will be transported to Neverland. 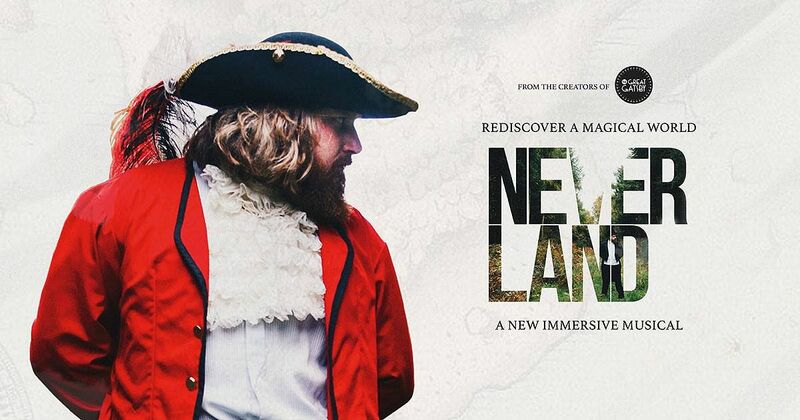 Taking inspiration from both Peter Pan and the life of the book’s author JM Barrie, Neverland will be an immersive performance where the audience will be diving into a dark and dangerous world of mermaids, rum and glittering pirates. There will be food fights, absinthe bars and soaring live music from a band of lost boys. The show will be a musical, with an original score by composer Gavin Whitworth, and the audience will be free to roam around Theatre Deli’s new home at 202 Eyre Street to discover the characters, stories and songs of Neverland for themselves. The show will run from 1 – 31 December, with early bird tickets available now on Eventbrite. Instead of heading home before the show, hang about and enjoy some food and drink in Sheffield city centre – we have some great recommendations in Alive After 5’s food and drink section.